Delmar Fieldhouse is a new $35.2 million 5,000 seat arena and obviously doesn’t come with hefty price tag of an NBA arena. The 139,874-square-foot facility features modern locker and training rooms. It also features a maple wood floor that is expandable and retractable. Although fans will no longer have easy access to downtown Houston, they will have access to the always bustling Galleria area of Houston. Delmar Fieldhouse is located about five miles from the Galleria Mall. 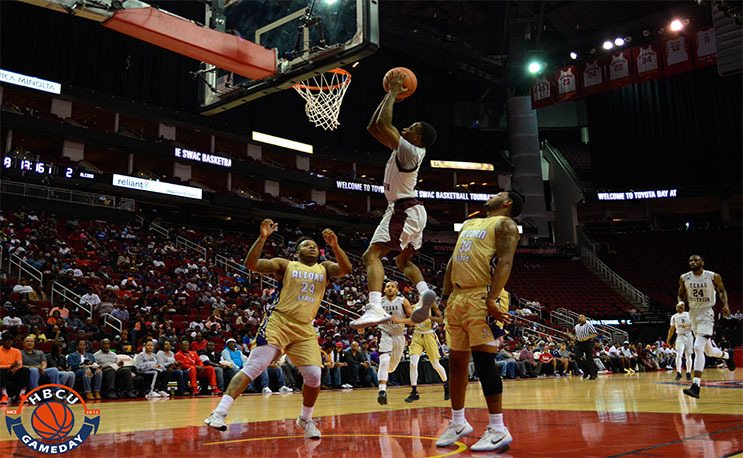 Some fans will see this move as a downgrade, others will applaud this move by Commissioner Duer Sharp and SWAC as it enables the conference to save money without sacrificing a quality venue. I commend them for making the move. Delmar FieldHouse is in great location, great size, and great facility. Move it from Houston to save money. No one travels to Texas for the tournament. Too far, too expensive. Move it equal distance between the SWAC WEST and EAST schools to not put a financial burden on schools and fans to travel to the tournament. You’ll save money and make money in the process.